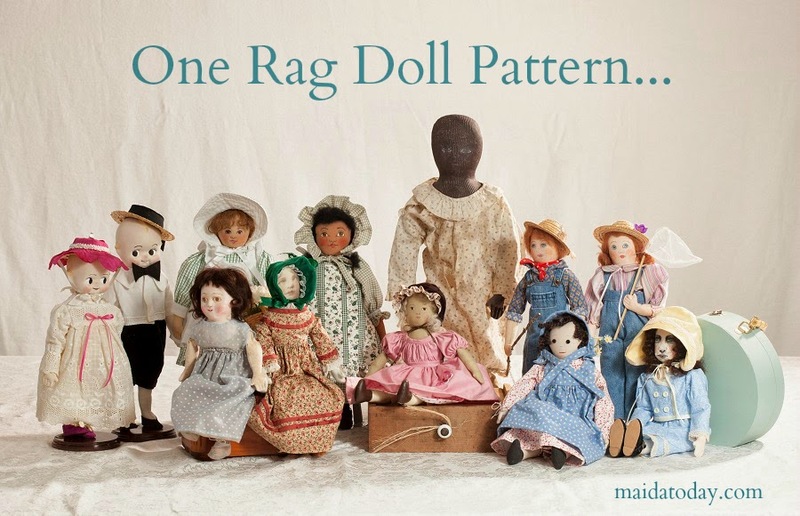 Lou McCulloch shared a pressed cloth doll here on MAIDA some years ago. 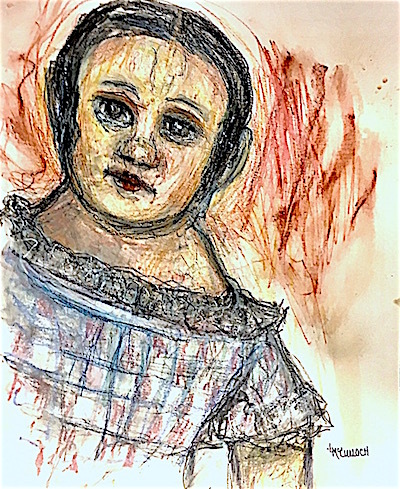 Lou collects dolls and also creates energetic paintings using mixed media. 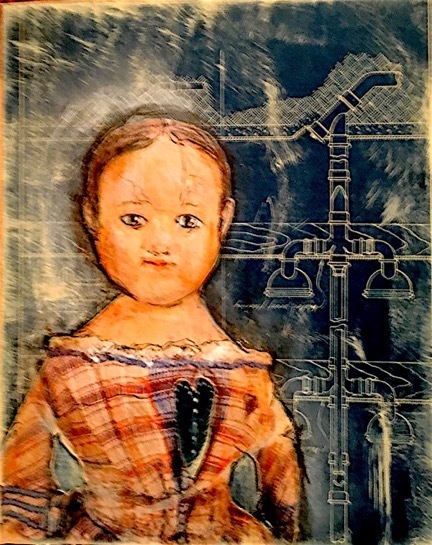 Her figural mixed media paintings reference folk art dolls and story-telling. Take the time see some of her other works here. 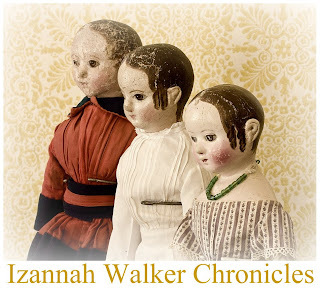 Many doll makers, artists and collectors around the world are marking Izannah Walker's 200th birthday today. 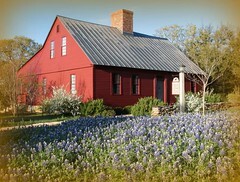 As people post on their blogs and share their links with me, I will add them to this post. Dolls made by Artis Corwin.